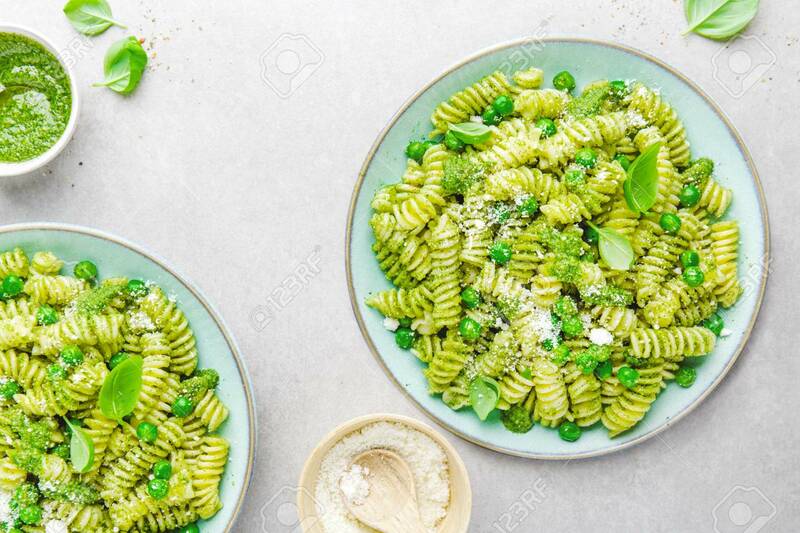 Tasty Appetizing Italian Pasta Al Bronzo With Pesto Sauce, Green Pea, Basil And Cheese Served On Plate. View From Above With Copy Space. Lizenzfreie Fotos, Bilder Und Stock Fotografie. Image 114631617.